Michael Lopez – Your favorite Visual Journalist. What a amazing turn of events. I wake up early March 24, 2016 and find a email from Reuters asking me if I want to photograph U.S. Presidential Candidate Bernie Sanders that same day in Yakima, Wa..
Not only is it 2 hours away, I also work that evening. (sigh) I call my boss and ask him if he wants to shoot it since I have a football game to photograph. The great thing is, he was totally cool about it and let me go shoot. So here comes the prepping. What do I need to do to prepare? First, download PhotoMechanic since it wasn’t on my work laptop. Get my lens selections down, including a Nikon D700, 24-70mm ƒ2.8, 70-200mm ƒ2.8 and a 70-300mm variable lens. Notebook, extra pens, two card readers (in case one fails), and two cell phones. Then walk around, get some feature art, and wait for U.S. Presidential Candidate Bernie Sanders to show up. I can’t express how professional Secret Service was, and how nice the people from Yakima, Wa. really are. Once I got setup, it went by quick. Set up on top of a step ladder and nailed some photographs of Bernie Sanders as he walked in saying hi to the local chapter of Native Americans on his way to his podium. The shooting went fast and furious. Shot from a step ladder, then was led by Secret Service to the front of his podium, and around back, and after that, moved to the sides, and back of the room to cover all angles, and ideas I had drawn up mentally in the three hours I was waiting for him to speak. It’s always smart to have a plan. In this case, talking to the right people to get a little access went a long way. Remember to always be respectful, tactful and polite. It will lead to to locations and information that can set you up to a nice moment, and photographic opportunity. Here are some of the images I took for my very first Presidential Candidate rally. This weekend I had the opportunity to be a part of a amazing staff of military staff and students with the DC Shootoff 2016 at the Navy League Building in Arlington, Va.
One-Hundred and seven students both online and in person attended this three day course where we listened to amazing people like Parker Gyokeres, Bennie Davis, the always inspirational Mary Calvert, Chip Maury, Jim Bryant, and Aaron Ansarov just to name a few. The students were inspirational and eager to learn, and the competition was stiff. This years topic was FOUNDATION, and to be a part of this group, and mentor these military visual journalists from all branches of the service is truly a blessing. Not only did we all grow together, we formed bonds that will be part of our lives. We have a new found love, friendship, and family. If you ever get a chance to go to one of these workshops, I highly recommend it. Feel free to follow them and their work. Walking around downtown Walla Walla you see so many different types of people and attire. A pedestrian jogs across East Main Street in downtown Walla Walla. Students do their homework enjoy the early morning sun under the chihuly chandelier in the Reid Campus center. A morning ritual for many in town is to enjoy a hot cup of coffee and good conversations at Starbucks on East Main Street and First Avenue. The Memorial Building at Whitman College. The Windows on the Past mural at Heritage Park on East Main Street. Whitman College’s Caitlin Scott enjoys the brisk early morning to go for a run at Mill Creek in Walla Walla, Wa. The sun peaks out of the clouds at Bennington Lake. Lately I’ve found myself in a little of a slump since the Pacific Northwest has been covered with rain and clouds for the majority of the winter. One day, sitting on my couch, a little lonely and depressed. I decided to finish reading my book by Ansel Adams and another one by Robert Frank. Not only did I get engrossed into the black and white photography, I decided put away my huge DSLR and grab my Fuji X100s. It is sleek, and easy to handle. Everyday, even while on assignment with the Walla Walla Union-Bulletin, I would stop and look at the world in Black and White and found a whole new love and appreciation for my photography. Granted I put my camera in Black and White mode focusing on the red tint for clouds and added +2 on my EV and off I went. Walking around Walla Walla, made me see people, and buildings in a whole new light. It brought love, and passion back to me, and I began seeing contrast, and shapes, moments. Forcing myself to see in two tones made me in my own way a better photographer, and a gave me a greater appreciation for the colors, and light that surrounds us. If you ever start getting bored and need a quick pick me up, I recommend shooting in black and white, and looking at shadows, and lights. Also, please feel free to share with me as well. Here are some of my favorite images I have been capturing for the Walla Walla Union-Bulletin. Working with the Union-Bulletin gives me the opportunity to shoot more than just one topic of imagery. There are days I can photograph sports, features, news, and art. So my passion is fulfilled and I am fortunate enough to get paid to do what I love. Everyday in Walla Walla, Wa. is a beautiful view in light, wildlife, and scenery. The last remnants of winter can be seen around Pikes Peak in Walla Walla, Wa. Trees bring out a unique contest against the site and frozen roads on Pikes Peak Road in Walla Walla, Wa. 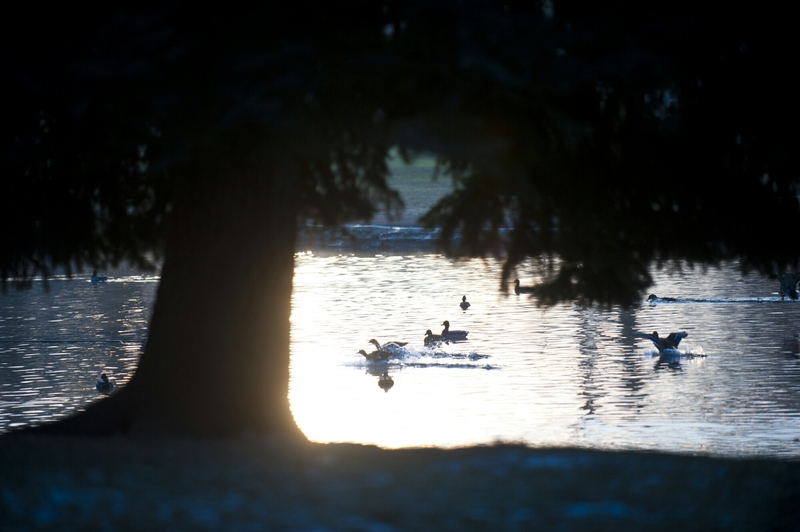 A pair of ducks land simultaneously to enjoy the early morning sunshine at Pioneer Park Tuesday morning in Walla Walla, Wa. Thank you for viewing my page. Feel free to check out my website and Twitter. It’s been a while since I’ve updated this and need to get back at it. These are a few of my BEST IMAGES OF 2015 that were taken at and for the Walla Walla Union-Bulletin. All copyright belongs to the Walla Walla Union-Bulletin. 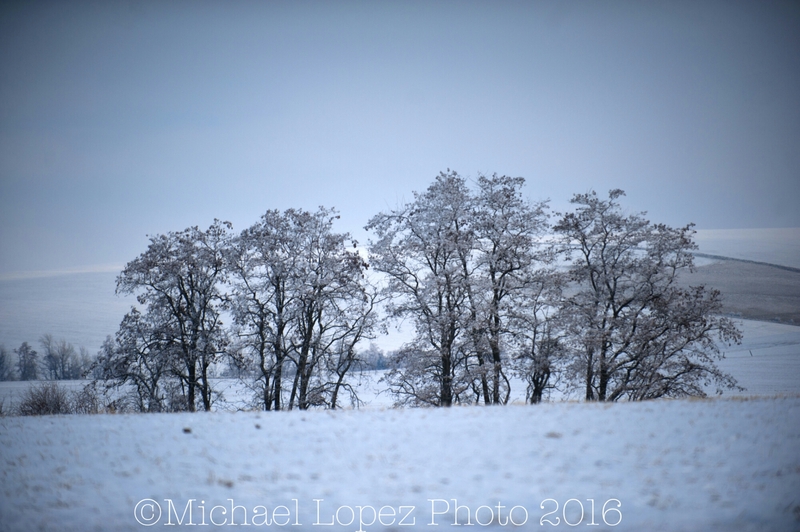 Feel free to check out my Twitter and personal website www.michaellopezphoto.com. Rev. T. Birch Rambo from St. Paul’s Episcopal Church stands at Heritage Park Wednesday afternoon waiting to anoint the cross on believers forheads in downtown Walla Walla. The moonlight reflects on the running water of Mill Creek river Tuesday night by Walla Walla Community College in Walla Walla, Wa. WWCC Ty Holloway lands facefirst as his foot gets stuck in the stirrup Sunday afternoon during the WWCC College Rodeo held at the Fairgrounds in Walla Walla, Wa. Elaine Vandiver shares a moment with a two-year old alpaca as they touch noses as she washes him at her farm at 5260 Stateline Road Monday afternoon in Walla Walla, Wa. Fire fighters Donny Snider, right, and Brandon Cadwell combat the blaze Wednesday night at Martin Archery at 3134 Heritage Road in Walla Walla, Wa..
Bella Aguilar, left, and Ryleigh Kentera, cheer on Jack Garratt as he sings Friday afternoon before the Foo Fighters at the Whitman College Athletic Fields during the Gentlemen of the Road concert in Walla Walla, Wa. Bella Aguilar takes a selfie, left, as Qury Kim, second from left, Ryleigh Kentera, and Kate Colvin cheer on the Foo Fighters Friday evening at the Whitman College Athletic Fields during the Gentlemen of the Road concert in Walla Walla, Wa. The sky lights up as thousands of fans cheer on the Foo Fighters Friday evening at the Whitman College Athletic Fields during the Gentlemen of the Road concert in Walla Walla, Wa. Foo Fighters Dave Grohl, left, and Pat Smear perform for thousands of fans Friday night at the Whitman College Athletic Fields during the Gentlemen of the Road concert in Walla Walla, Wa. Drew Reinland works his way out of the sand trap at hole No. 2 during the Nortwest Open Golf Tournament Monday morning at the Wine Valley Golf Club in Walla Walla, Wa. Taylor Lovell, 14, talks to her mom on the phone as she and her friend Mathew Nickleson hang upside down on the Fireball ride during the Walla Walla Fair & Frontier Days Friday morning in Walla Walla, Wa. Hot air balloons raise within 30-seconds from one another Friday morning at Tietan Park in Walla Walla, Wa. A student takes a moment to grieve alone outside the auditorium during the vigil for Brian Senter Sunday afternoon at Walla Walla High School in Walla Walla, Wa. JROTC’s Mason Christopher carries the folded flag to a fellow cadet to be placed on the Fallen Soldier display during the Veterans Day assembly at Wa-Hi in Walla Walla, Wa. 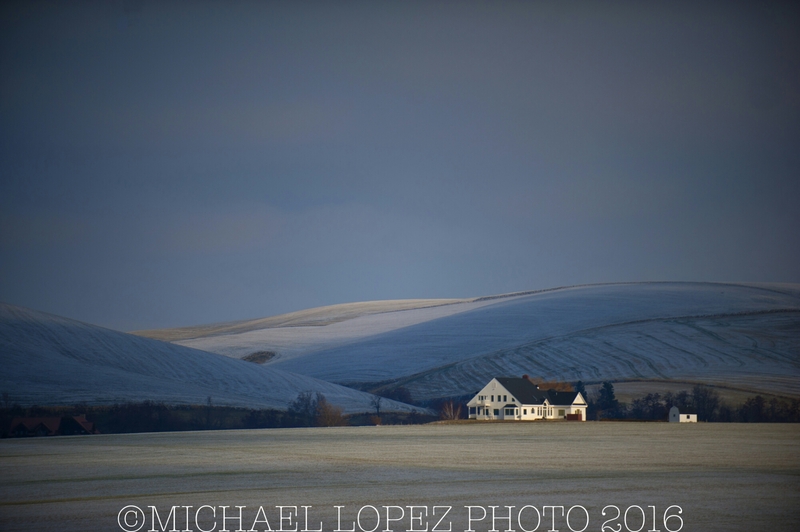 Some of my favorite images from Walla Walla, Wa for the month of March. Been fortunate enough to shoot around the Washington area and be part of amazing stories and wonderful people. Here are some of my favorite images from my job at the Union Bulletin. 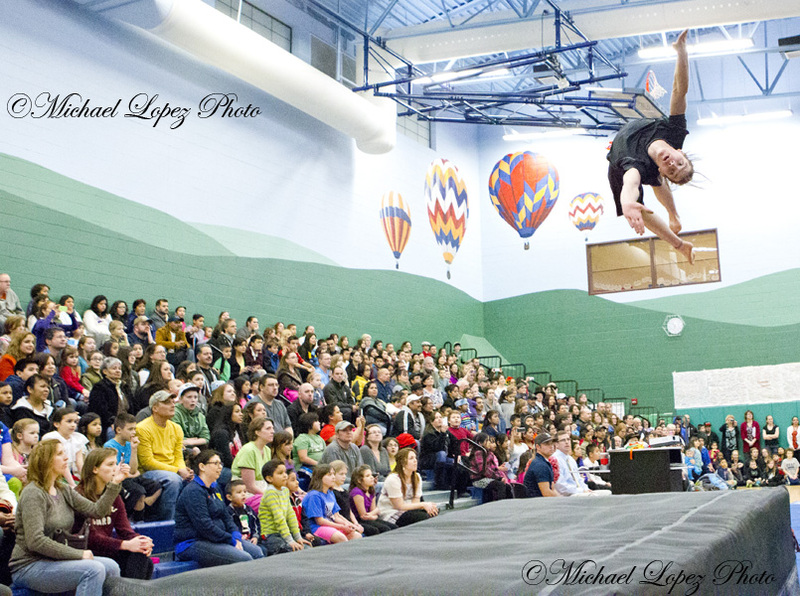 A Agroknight does a backflip during the Multicultural Magic show at Edison Elementary School. 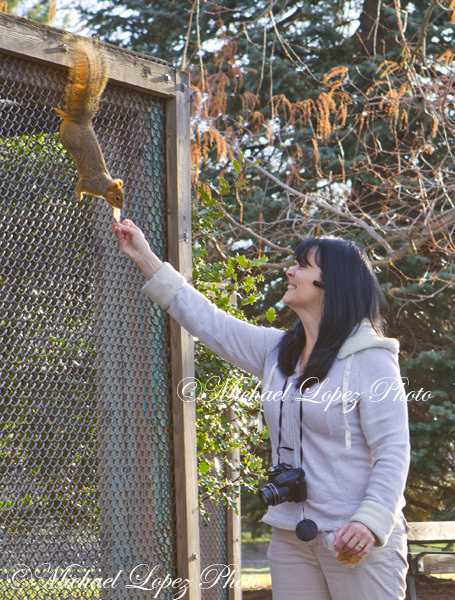 Sherry Roberts feeds a squirrel for the first time at Pioneer Park by the aviary. 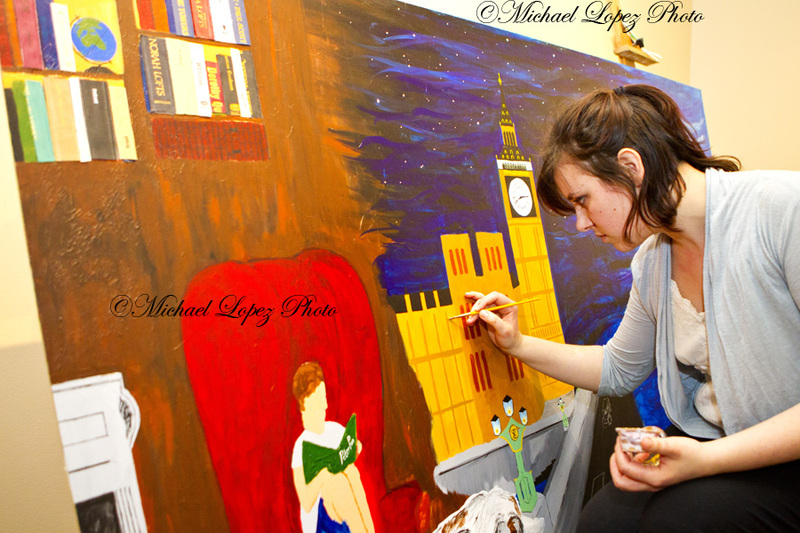 Merrisa Trunkey fine tunes her painting which she has invested 40 plus hours for the upcoming Operetta in the China Pavilion at Walla Walla Community College. 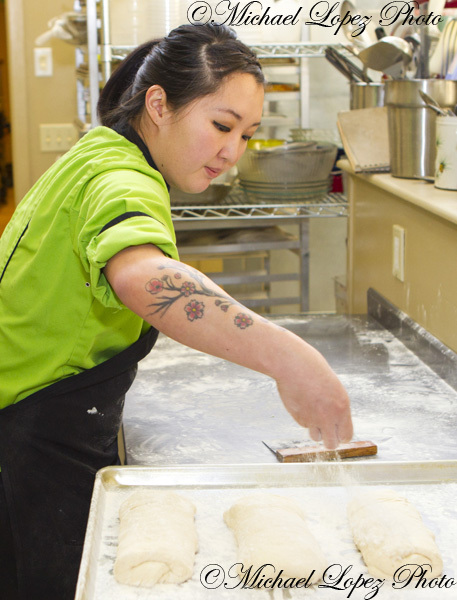 Mandi Wendt sprinkles powder on top of the Ciabatta’s at the Weinhard Cafe in Dayton, Wa. The process to make Ciabatta’s takes 24 hours, from preparing the dough to the moment it comes out of the oven. 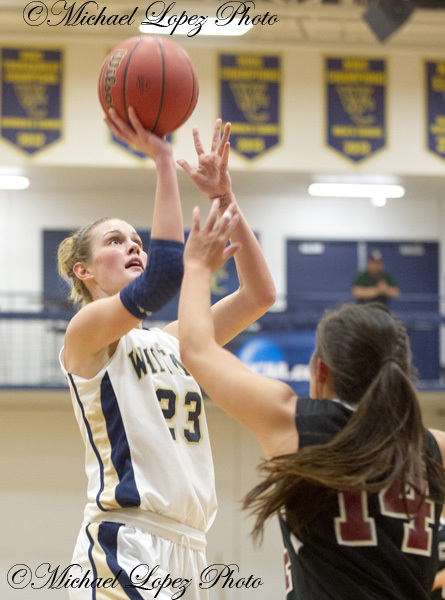 Whitman’s Sarah Anderegg nails the short jumper in her game against Chapman’s during the NCAA Division III Women’s Tournament at Whitman College. 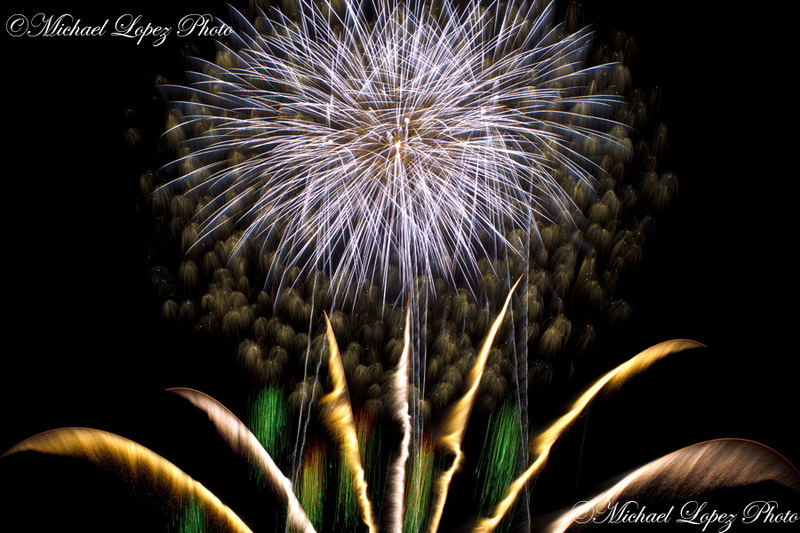 Fireworks light up the sky celebrating the 19th anniversary of Wildhorse Casino in Pendleton, Oregon.